HMNZS Endeavour II was one of 23 Patapsco-class gasoline tankers built between 1942-1945 for the United States Navy. 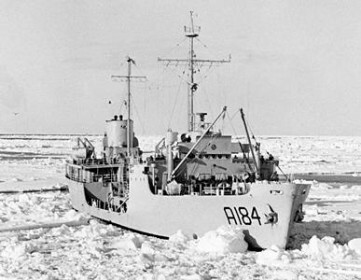 She was commissioned into RNZN service in 1962. Class: One of 23 Patapsco-class gasoline tankers built between 1942-1945 for the United States Navy. Namakagon was commissioned on 18 June 1945. Placed in reserve 20 September 1957.